With Black culture, cinema, and music continuing to make tremendous impact around the world, many talented storytellers whose distinct voices are prominent within the industry landscape have further amplified the African Diaspora in the U.S. Manifesting blurred lines of creativity is prominent in their multi-hyphenate work, as they straddle continents and disregard one-lane artistry. Whether film, television, or music…whether behind the scenes or center stage, these creators are transforming the art of storytelling and connecting global audiences in the process. 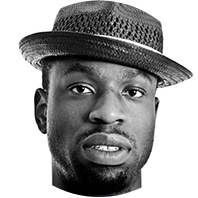 Blitz Bazawule is a Filmmaker and Musician born in Ghana and based in New York. Blitz's short films Native Sun (2012) and Diasporadical Trilogìa (2016) premiered at BAM New Voices in Black Cinema. Blitz is the founder of Africa Film Society in Ghana. As a composer and musician, Blitz has released 4 studio albums, Stereotype (2009), Native Sun (2011), Afropolitan Dreams (2014) and Diasporadical (2016). Blitz is a TED Fellow and recipient of the Vilcek Prize. ADEPERO ODUYE, who gave a breakout performance as the star of Dee Rees’ PARIAH, hails from Brooklyn, New York by way of Nigeria and is Cornell University graduate. Her film credits include THE BIG SHORT and TWELVE YEARS A SLAVE. Theater credits include Mfoniso Udofia's "Her Portmanteau" at The New York Theater Workshop (2017), and “The Trip to Bountiful” on Broadway. In 2014, she wrote and directed her first short film, BREAKING IN. TO BE FREE, her second short film as director and writer, will screen at The National Museum of African American History and Culture in October 2018. Shawn Peters is a cinematographer and storyteller represented by the William Morris Agency, listed as one of Filmmaker Magazine’s 25 New Faces in Independent Film in 2016. He started shooting music videos for artists like Pharoahe Monch, Blitz the Ambassador, Bilal, and Alicia Keys. That led to commercial and narrative work with director’s Rhys Ernst, Terence Nance, Sebastian Silva, and Andrew Renzi. Shawn has recently lensed 3 feature films, “Goldie,” for VICE Features, “Adam,” produced by James Schamus, and “Really Love” for Charles King’s MACRO, as well as HBO series, “Random Acts of Flyness,” produced and directed by Terence Nance. Abiola Oke is the CEO and Publisher of Okayplayer, a 19 year old media and creative services company with a focus on progressive urban culture, and OkayAfrica, founded in 2011, the leading media company of its kind connecting a global audience to Africa. As CEO, Abiola has shepherded the company's rapid audience growth and business. The media brand now boasts offices in New York, Lagos, Johannesburg and London. From the silver screen to the golden age of television, to the prevalence of streaming platforms and mobile entertainment, CREATIVITY drives the content that is thriving. Taking cues from the cultural landscape, as well as one’s imagination and personal experiences, artistic voices are courageously shaping the future of storytelling. Join this conversation with some of the visionary creative forces leveraging authenticity, innovation, and boldness to make a memorable mark in the industry. Hans Charles is a cinematographer, professor, and filmmaker. He has shot for a range of directors including Spike Lee, Ava DuVernay, Nefertite Nguvu, Salim Akil, Gloria LeMort and countless others. Charles’ films have won a BAFTA (British Academy Award) and have been nominated for an Oscar and Independent Spirit Award. His projects have screened at festivals all over the world including, The New York Film Festival, The Urbanworld Film Festival, the New York City Latino Film Festival, OutFest, the Los Angeles Film Festival, the Zanzibar Film Festival, the BlackStar film festival, and HBO, ESPN, Netflix and Hulu. Nefertite Nguvu’s debut feature Film, “In The Morning,” won the Audience Award at The Urbanworld Film Festival in New York. It won Best International Film At The Terra Di Siena Film Festival in Italy, Best Feature Film at BlackStar Film Festival in Philadelphia, and Best Feature Film and Best Overall at The BronzeLens Film Festival. Nefertite has also written, produced and directed several narrative shorts: “I Want You,” “The End of Winter,” “Myself When I Am Real (Paul Robeson Award Winner),” and “The Last Two Lovers At The End Of The World, (available now on Direct TV).” Amongst other web-based programming, she has directed a ten-part web series featuring Queen Latifah for Cover Girl entitled “U.N.I.T.Y. 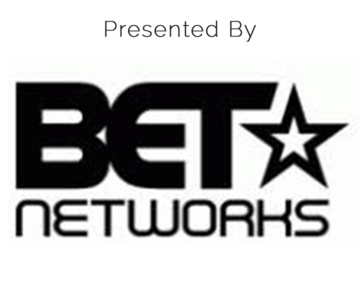 Re-Ignited”, a mini- music documentary, Love Star, and an eight-part web series, “Black America Again,” featuring Academy Award-winning musician And Actor, Common for Universal Music and Freedom Road Productions. Silva grew up in Santiago, Chile and moved to New York City in 2002. 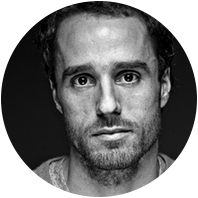 Silva’s films have been shown at the Sundance, Berlin, and Cannes film festivals and he has participated in talks at the School of Visual Arts, UCLA, Pratt Institute, and BAM. His film The Maid (2009) received The World Cinema Jury Prize at Sundance in 2009 and was nominated the following year for a Golden Globe Award in the Best Motion Picture Foreign Language category. Silva was named Best Director at the 2013 Sundance Film Festival for Crystal Fairy & The Magical Cactus, and his Nasty Baby (2015) won the Teddy Award at the Berlinale. Jamal Noisette has served as a creative freelancer at networks such as MTV, Vh1, MTV2, ESPN, TNT, Sundance and digital outlets such as Tidal and YouTube. After 10+ years of freelance producing, Jamal found a home at BET Networks, where he has served as a creative and executive producer on various BET Productions from BET’s “Black Girls Rock!” to its latest tentpole “The Social Media Awards.” In 2017, he launched two seasons of Centric’s “The Round,” a ½ hour show featuring women giving inspiring TED-style talks on a range of impactful topics. Jamal serves as Creative Executive on the PROJECT CRE8 initiative, a screenplay competition introduced in partnership with Paramount Players to find the next great writer/director who will receive a one million dollar budget, along with seasoned production support, to create their first full length feature film. This intimate conversation will provide a perspective of the future of entertainment with featured speakers discussing the creative process, the importance of storytelling, and the behind-the-scenes experience of HBO’s hit show Westworld. 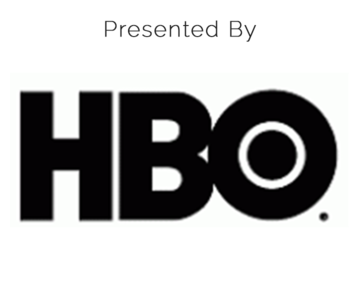 Through the lens of its off-screen talent, HBO POV opens a window into the world of HBO focusing first and foremost on their expertise and the crucial role their craftsmanship plays on the quality of the network’s programming. HBO POV addresses the creative thoughtfulness needed to tell our stories, as well as the importance of having multicultural talent behind-the-scenes, and the journeys that have led them to where they are today. Gina Atwater began her career as J.J. Abrams’ assistant at Bad Robot Productions where she assisted with two films and five television shows. She then transitioned to the role of writer’s assistant for Season 1 of Westworld. After being promoted to staff writer for Season 2, she won her first Emmy for "Outstanding Creative Achievement in Interactive Media within a Scripted Program" for her work on the Westworld website during Season 1. Outside of Westworld, Gina is among the few writers staffed on Jane Goldman’s untitled Game of Thrones spinoff series. Elizabeth Castro has worked in the tv and film industry for over 30 years. She got her start working for Roger Corman as an assistant film editor and continued working as an AE for 7 years. Her first job in visual effects was on the pilot for Star Trek: Voyager, and she stayed with the Trek franchise for 12 years. Since then, she has worked as a VFX Coordinator, Supervisor and Producer for television, including shows Lost, Pushing Dailies, and most recently Westworld. She has won four Emmys: three for Star Trek and one for Westworld. Halle Phillips is a creative executive at Kilter Films and associate producer of Westworld, focused on television development, production, and marketing as point on all in-world/story-driven extensions on other platforms. She came to Kilter from Bad Robot, where she worked on a number of shows including CBS’ Person of Interest and Hulu’s 11/22/63. She started her television career as an assistant in multiple departments at CAA. Prior to her career in entertainment, Halle worked in finance as a tech and media investment banker. Halle is a graduate of Harvard College. 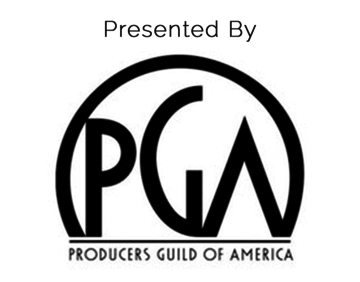 In partnership with PGA East, Urbanworld will host a conversation with 2 leading film producers who have each contributed significantly to the industry landscape with their work. With credits including academy award nominated films Hidden Figures, Silver Linings Playbook, and The Reader, Donna Gigliotti is one of only 8 women to win an Academy Award for Best Picture for producing Shakespeare in Love. With a focus on creating opportunities and inclusivity for filmmakers of color, Nina Yang Bongiovi has produced critically acclaimed films Sorry To Bother You, Roxanne Roxanne, Dope, and Fruitvale Station. Join this session for insights, anecdotes, and inspiration on the journey of a successful producer. As one of the few active Asian-American producers in Hollywood, Nina has gained a positive reputation for having in-depth knowledge of film financing, creative and physical producing, and a knack for discovering talent, like that of Ryan Coogler (Marvel’s Black Panther), whose first feature film, Fruitvale Station, was produced by Nina and her producing partner, Forest Whitaker. Together under their banner, Significant Productions, Nina and Forest have produced a number of critically acclaimed and monetarily successful films by auteur directors—all filmmakers of color, including Dope (2015) by Rick Famuyiwa, Roxanne Roxanne (2017) by Michael Larnell, and her most recent film, Sorry To Bother You, by Boots Riley, which debuted at Sundance in January 2018 and was released theatrically in July by Annapurna Pictures. She is currently in active development of the Angela Davis feature biopic with Lionsgate alongside a slate of projects that she loves. Donna Gigliotti is one of only eight women to win an Academy Award for Best Picture. She received the 1998 Oscar® for producing Shakespeare In Love. In 2009, Gigliotti was nominated again for Best Picture for producing The Reader, directed by Stephen Daldry. Gigliotti’s third Best Picture/Academy Award nomination was granted in 2013 for Silver Linings Playbook, directed by David O. Russell. Most recently, Gigliotti developed and produced Hidden Figures, which received three Academy Award nominations in 2017, including Gigliotti’s fourth Best Picture nomination. Over the course of her career, Gigliotti has served as President of Production at The Weinstein Company, President of Production at USA Films, a division of Barry Diller’s USA Entertainment Group and Executive Vice President at Miramax Films.